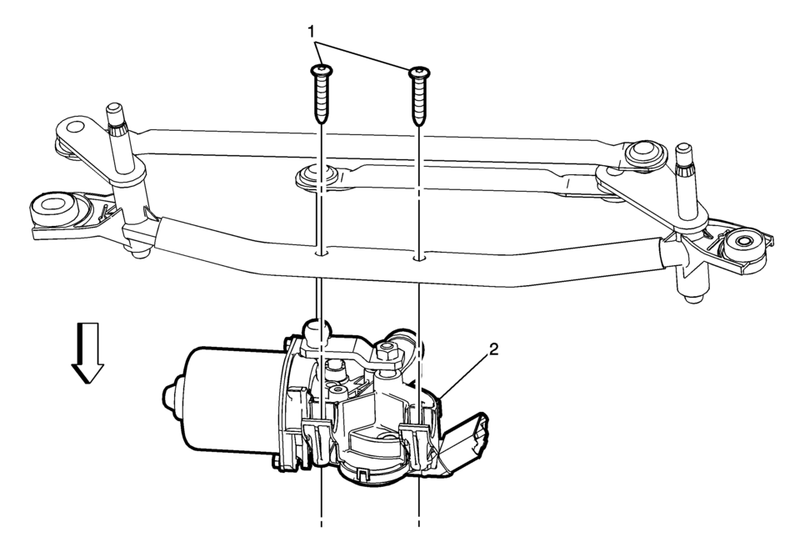 Use a wiper linkage separator or similar tool, separate the transmission drive link from the wiper motor crank arm ball stud. Use a wiper linkage installer or similar tool, install the transmission drive link onto the wiper motor crank arm ball stud. Apply a small amount of grease to the inner cup on the transmission link to aid in installation.